When you are out in service, taking detailed notes will help you keep track of interested persons. It will also give you the motivation to make a return visit. This is exactly why the return visit and service record book is absolutely invaluable. The book helps you stay organized by making it easy to record crucial details about interested people such as their names and physical addresses. You can even draw a map to remind you of an interested person’s place of residence. It consists of six sections separated by plastic dividers. The first section is the monthly planner where you can fill in dates to keep track of your yearly activities. The second section comprises five initial call sheets which allow you to jot down details of your first encounters and 35 additional sheets to record your return visits. The other four sections allow you to keep track of magazine placements, where you left off from a previous visit, and monthly activity totals. E-commerce company Ministry Ideaz helps out Jehovah’s Witnesses through quality materials that make the ministry easier. 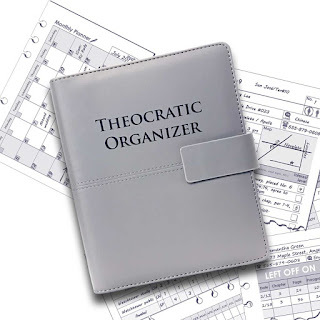 One of the products offered by Ministry Ideaz is the return visit and service record book for Jehovah’s Witnesses.